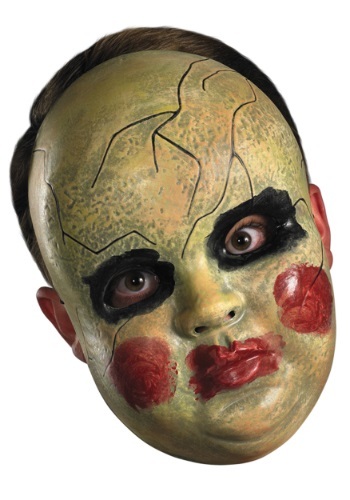 Adult Smeary Doll Face Mask By: Disguise for the 2015 Costume season. There's a tale that goes along with this mask. Once upon a time, this doll was a young girl's treasured toy. When the girl grew to be a tween, she was 'too cool' for dolls and abandoned this one in the attic. The doll felt neglected and as a result became evil. The doll traded in naps and bath time for more sinister activities. When you wear this Adult Smeary Doll Face Mask, you may feel inclined to scare people. Don't blame the Smeary Doll, blame the girl who deserted him in the attic!